At the French Culinary Institute I completed the bread baking program before doing the culinary program. I love bread. 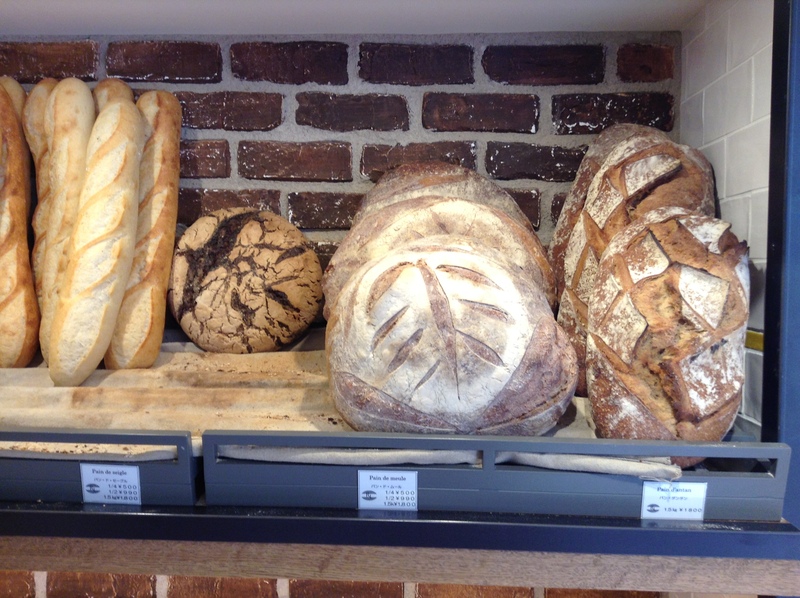 Tokyo is a wonderful city for bread. 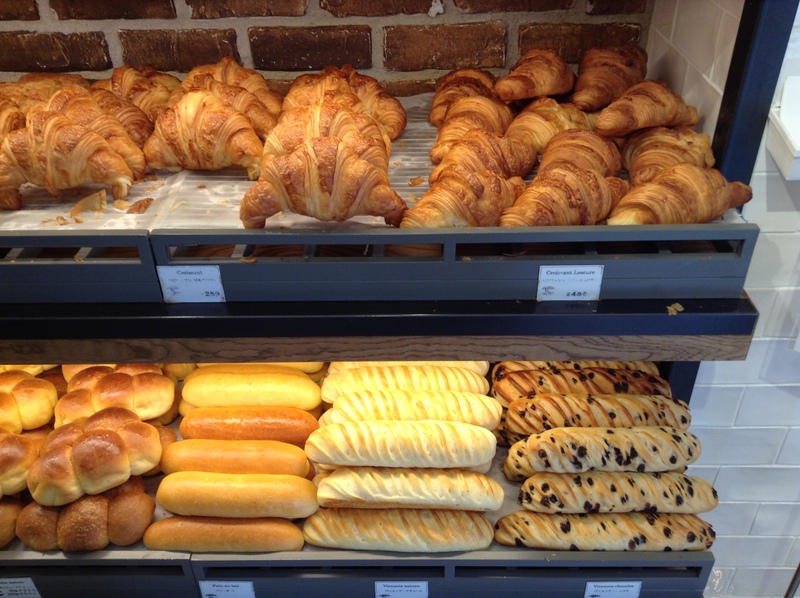 There are many French boulangeries in Tokyo including Viron, Maison Kayser, and Gontran Cherrier. Add to that impressive collection Maison Landemaine from Paris. I had heard that there were long lines, as is to be expected when any hot spot opens in Tokyo. I went recently on a weekday and was happy to see that there were no lines and that I could sit in the cafe. The shop was busy with customers, but most of them for take-away. There are two croissants. The French croissant made with Lescure butter and the Japanese croissant made with a local butter. Forgive me for not knowing as I couldn’t resist trying the French croissant. It is among the best in the city, along with the croissant at Le Boutique at Le Cordon Bleu in Daikanyama. A second shop has opened in Akasaka, near the Tameike Sanno station and not far from Roppongi Itchome station. This location is much more convenient to any subway station. there is comfortable seating in the back of the shop. My favorite here are the tarte flambee, popular in Alsace, but the baguette is very nice as are the croissants! The baguettes are a good value for only 220 JPY and remind me of authentic French baguettes. Both shops are open from 7 a.m. as good bakeries should be! Sadly many Japanese bakeries don’t open up until after 10 a.m.